Massini/Studio M Sugar Plums & Oh Joy! 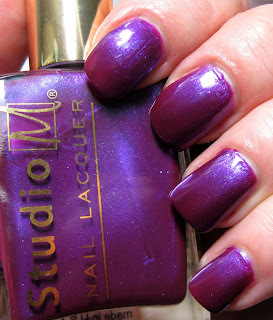 Here's two more shades from Massini/Studio M's Cozy Up To Color Holiday 2010 Collection. Yesterday I shared Tinsel Time with you, and Oh Joy is another nice layering polish, much like that one only in white instead of gold. 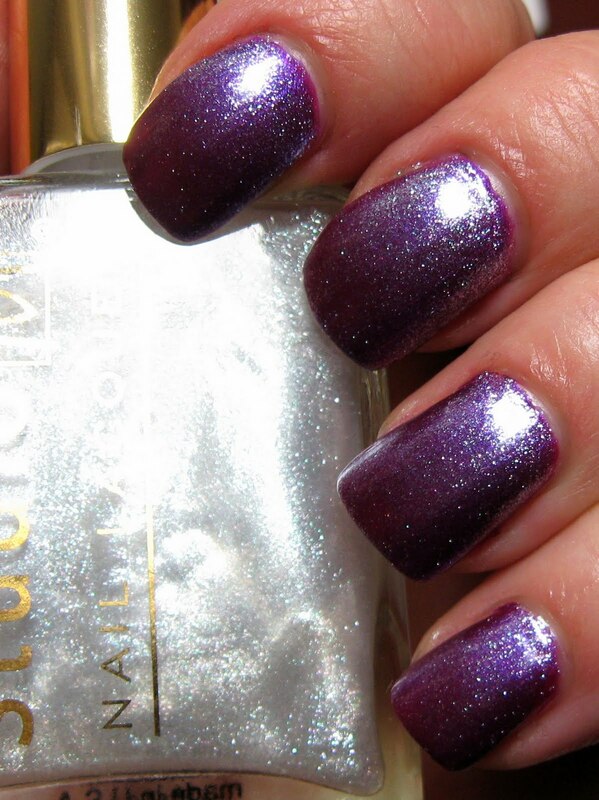 First up is Sugar Plums, a violet shimmer with a light sprinkling of tiny multi colored glitter. This shade has a slight duo chrome tendency with some red and blue flash. 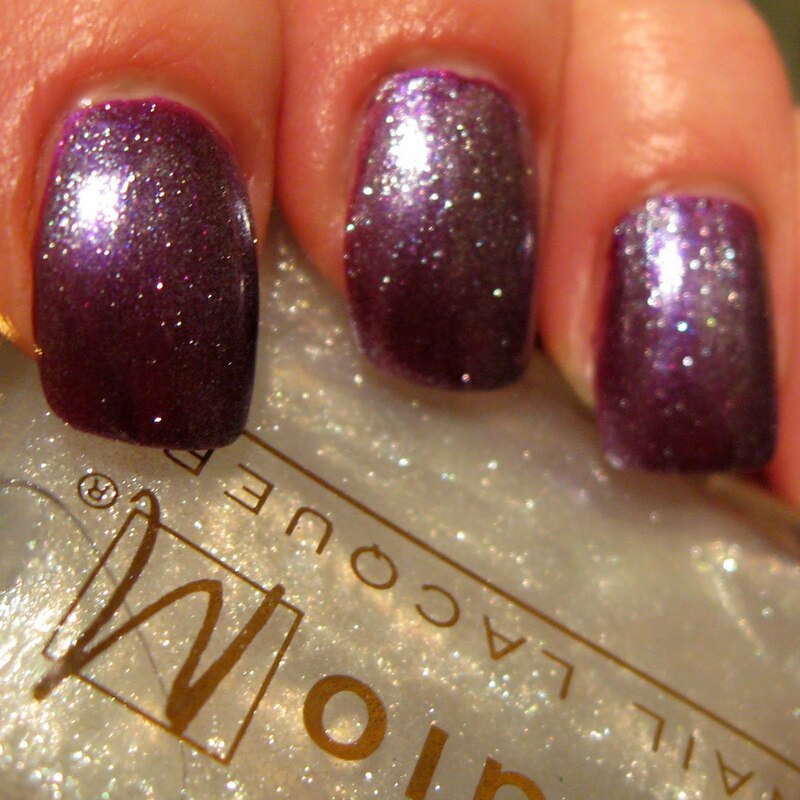 There are a lot of shades out there much like this one, but I like the added multi colored glitter in this. I used two coats and photographed it with an Ott lamp in the first picture, and with a flash in the second picture. Below: Oh Joy! 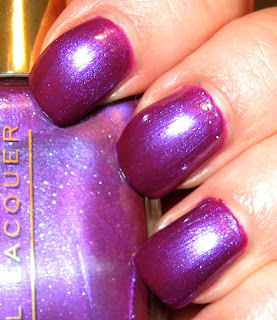 is a very jelly textured sheer white shade filled with a multitude of tiny multi colored glitter. Like Tinsel Time, this one also shifts around on the nail giving it a touch of duo chrome and even a little bit of a gradient look when the light hits it from different angles. I wasn't quite sure how the two layering polishes (Oh Joy! and Tinsel Time) work look on the nail--you just never know! Even though they look to have potential in the bottle, there have been times when I've been disappointed once I've applied these types of shades on the nail. But these are not disappointing me at all, and I look forward to seeing more possibilities from them! WOW! Sugar Plums is gorgeous!!! I definitely like it better with the topcoat--sooo pretty! Love that shade of purple. The topcoat is fantastic. Gorgeous manicure.